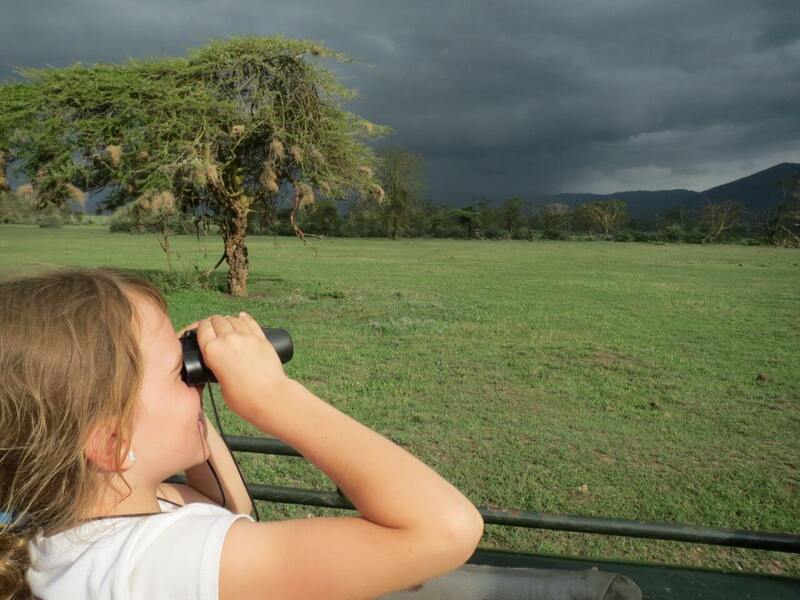 For winter break 2014 we took a 3 week driving holiday through southern Kenya and northern Tanzania. We had a lot of adventure of both the good and bad kind! Overall it was a great trip. We had a couple big car problems, though the car ended up doing fine after we got it fixed up. 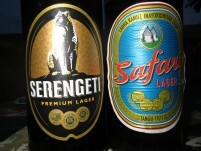 From Nairobi, we headed to Carnelley’s at nearby Lake Naivasha for an easy first night out. 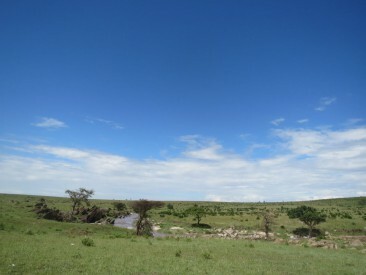 From there we headed through the Masai Mara, then crossed the border into Tanzania. 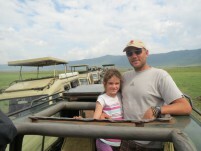 In Tanzania we travelled through Serengeti National Park and Norogorno Crater. 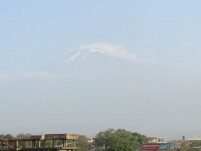 We went through the towns of Arusha and Moshi, where we did an overnight cultural stay with in a Masai homestead, which was surprisingly completely untouristy. From Moshi we headed back into Kenya, at which point the beautiful road disappeared and we spent about 5 days on dirt roads traveling through Tsavo West National Park and then Amboseli, on the Kenyan side of Mt Killimanjaro. Click on a photo below to open up a slide show. Sand River Camp in the Maasai Mara. Our favorite of the trip. Zoe practices steering the car in the parks. 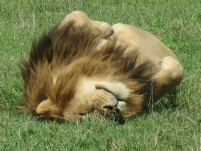 An afternoon nap in the middle of the day on the plains of the Maasai Mara. We loved the weaver birds. 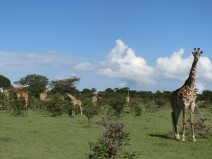 Giraffes right beside our camp site. …then another car came and the guide pointed out their 4 cubs in the bush right by our car. This lion was the daddy of a huge pride – maybe 20 lionesses and cubs in total. 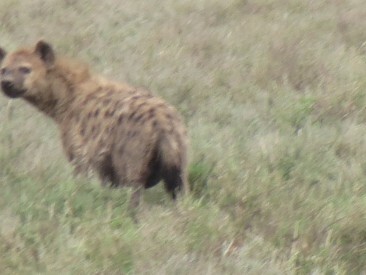 We spotted this hyena as we drove through the Serengeti toward Ngorongoro Crater. 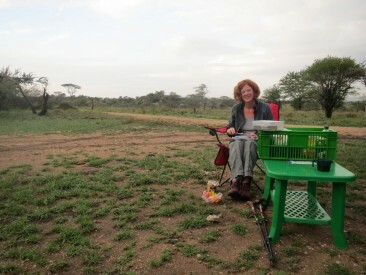 Our car broke down just before dusk when we were 6kms for the Ngorongoro park gate. We rolled down the edge of the crater in the gathering dark. Then things got hairy- the brakes went out during a 15km tow through the dark to the closest town. I had to use the emergency brake to slow the car down on downhills. Our dismantled car! We had the mechanic remove a faulty security system that was stopping the car. Robyn just wanted to rub his tummy. Inside Norogorno Crater- you can see the edge of the crater behind us. Another huge pride in Ngorongoro reclined around a recent kill wile others snacked. 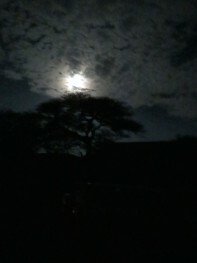 Out camp ground in Arusha was lovely. There was even a bar with pool table on the grounds. Relaxing mornings. Cool air, tea and coffee and reading. 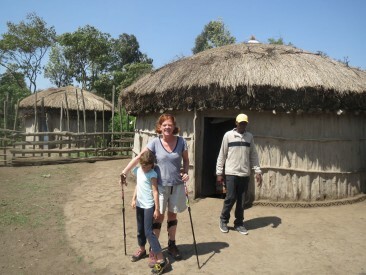 We spent a night in a Boma in a Maasai village near Arusha. I got to snuggle with their baby boy. And the older kids taught me how to count to 10 while Keir and Zoe went hiking. Zoe took a friend about her age on the hike. 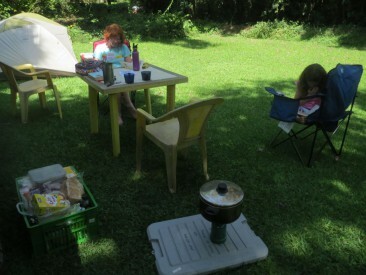 The children invited Zoe to help them do her chores. 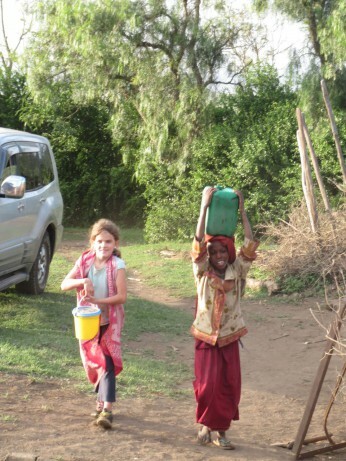 Here she is fetching water. 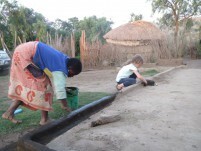 She then helped the older girl smear dung mixed with dirt and water onto the front patio of the boma. 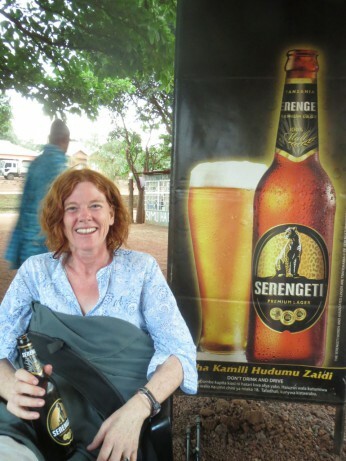 This cafe was our hang out in Moshi – the coffee was good. 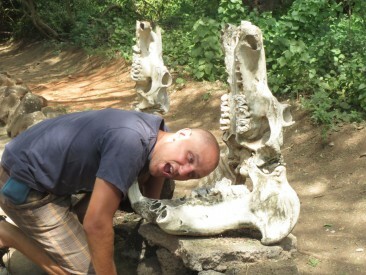 Back in Kenya at Tsavo West. Keir and Zoe climbed a small valcano. 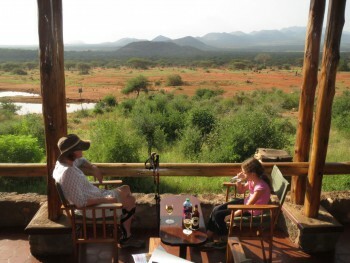 We stopped at this lodge for a map and couldn’t resist a drink on their patio overlooking a watering hole. Full moon in an overcast sky. 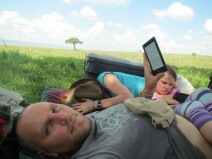 Our camground in Tsavo was dirt cheap (compared to Tanzania) and only occupied by us. Mizuma Springs inside a cool underwater viewing bubble. This crocodile had a great strategy- he just faced his open jaws upstream and waited for the fish to jump into his mouth! 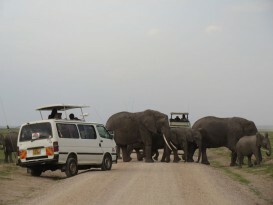 Amboseli had SO many elephants. They were everywhere! 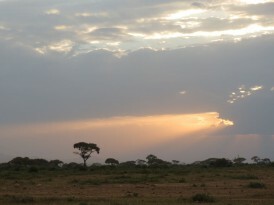 We enjoyed three weeks of sunsets on the African plains.